Aamir Gives Hichki Thumbs Up After Watching the film in Jodhpur! 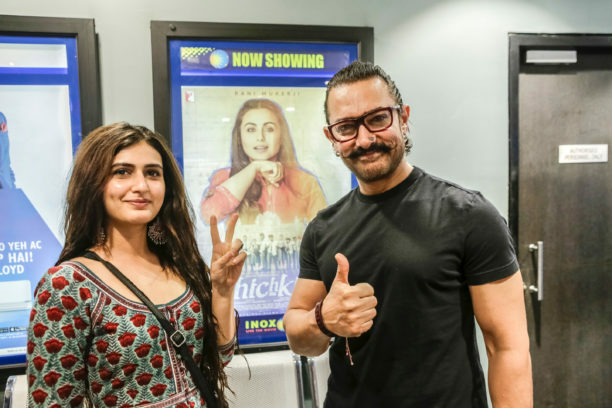 Aamir Khan and Rani Mukerji have been best of friends and the superstar took time out of his hectic Thugs of Hindostan shoot to watch Rani’s film Hichki in Jodhpur. Aamir has always been supportive of films that focus on challenging subjects. For Aamir, Hichki is doubly special because it is his best friend Rani’s film. He has heard everyone heap praises on Rani for her performance in the film and Aamir wanted to watch the film before it releases. A special screening was organised by YRF for him in Jodhpur yesterday. Directed by Siddharth P Malhotra and Produced by Maneesh Sharma, Hichki is set to touch the hearts of audiences as it releases today,23rd March.